Thuja occidentalis is useful in Autism, ADHD, PANDAS and other neurological disorders, along with other important polychrests. 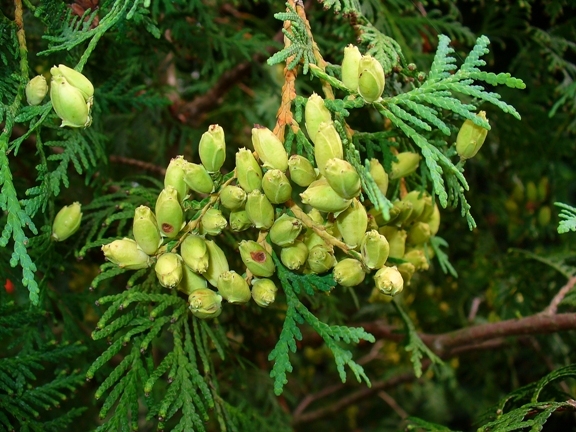 Thuja occidentalis keynotes are Fig-warts, and it is a major remedy of the sycotic miasm. Warts, growths, tumors and excessive mucus. Constipation with violent rectal pain. Blows out much thick, green mucus mixed with blood and pus. It has also fluent runny nose in the open air and dry indoors. Has a specific antibacterial action, as in gonorrhea and vaccination. Tearing in muscles and joints, worse at rest, better in dry weather, worse damp humid atmosphere; lameness. Often a history of vaccination.